The bye-weeks are almost behind us but the injuries are stacking up. Going into the second half of the season working the waiver wire for QB, WR, RB, TE, K and DEF is going to be super important if you are going to finish strong as well as win your league. Adrian Peterson (RB, MIN) - at this point he is just a lottery ticket and only hold onto him if you have the space. 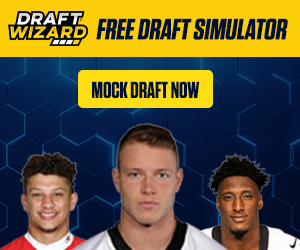 He has a super long shot chance to play again this year, but don't waste roster space if you need help as there are many other options out there. Bobby Rainey (RB, TB) - Sims will get some playtime eventually but Rainey looks like an all-around solid RB. He should be owned and can be used as a spot starter. Jeremy Hill (RB, CIN) - as long as Giovanni Bernard is out then Hill should be used as a starter. Josh Gordon (WR, CLE) - he better not be there, but if he is then you hit gold. Carson Palmer (QB, ARZ) - if you read my articles you know how much I value this QB; he shouldn't be on the wire, but is solid starting QB in fantasy. Ryan Tannehill (QB, MIA) - he should have given you every reason to believe he is able to put up usable fantasy numbers after this week. He is a startable QB at this point. Charles Sims (RB, TB) - he will eventually play a large role in the offense for the Bucs, but right now he should only be stashed. 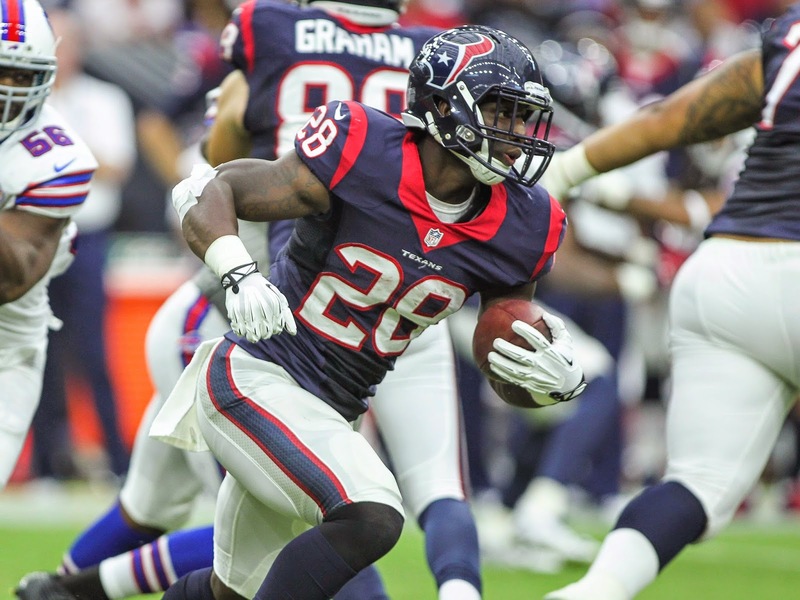 Alfred Blue (RB, HOU) - Arian Foster looks to have a knee injury and Alfred Blue is now a must add as he will get a ton of work in the backfield and in the air. He is solid for PPR leagues as well. Anthony Dixon (RB, BUF) - he was on bye-week last week and many owners have forgotten about him already, if you are in need of a spot starter and there isn't much out there then look to Dixon. Terrance West (RB, CLE) - it appears we are in a true RBBC in Cleveland, so West should only be used if there are not any other options available, but he does give you some upside. Tre Mason (RB, StL) - it appears the Rams are backing off from their RBBC and giving Mason more work. He is a must grab for the second half of the season. Mark Sanchez (QB, PHI) - Philly has an explosive offense and if Foles has a broken collarbone then Sanchez will be a wild card, but he is worth a flier in many leagues, but it is very difficult to start Sanchez. Ryan Mallett (QB, HOU) - his time is coming and if you have space on your roster then stash him now; I prefer Sanchez at this point due to his situation but Mallett is a close second for QB assistance on your team. Martavis Bryant (WR, PIT) - Big Ben has been a touchdown machine over the last two games and Bryant is a key target in the red-zone. If you are in a TD only league and looking for a WR with clear upside then Bryant is an excellent spot-starter going forward. Jordan Matthews (WR, PHI) - Sanchez is the new starting QB in Philly but found some connection with Matthews already. He is usable in very deep leagues, but otherwise he is a stash at this point. Allen Robinson (WR, JAX) - he is most likely not available on the waiver wire, but he has the talent and the Jaguars have to throw the ball a ton to stay in the game. Owen Daniels (TE, BAL) - if you are in a PPR league he is averaging 3.3 catches a game for the season, but the last two games has six receptions in each game. He doesn't have too much TD upside but is a clear spot-starter in PPR leagues. Charles Clay (TE, MIA) - on the flip side if you are in a TD only league then Clay is the TE that you should be targeting over Daniels. Daniel Thomas and Damien Williams (RB, MIA) - if Lamar Miller is out next weekend then Thomas and Williams would be a spot-starter, but at this point Miller would need to be out for Thomas or Williams to make any sense to add to your team. John Carlson (TE, ARZ) - Carson Palmer was looking Carlson's way frequently; if you are in dire need of a TE then take a look at Carlson otherwise he is a bit too boom or bust right now to acquire. Allen Hurns (WR, JAX) - had a solid weekend but still way too much of a boom or bust to add on your team or start. Kenny Britt (WR, StL) - has a little bit of upside since Brian Quick is gone, but honestly he is so sporadic that he is a tough WR to start. Mychal Rivera (TE, OAK) - he had a solid weekend but he is not worth adding or starting.